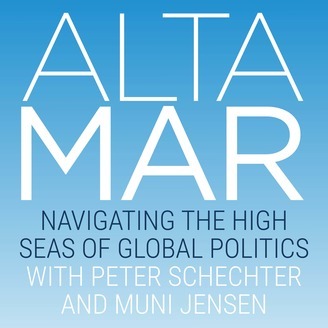 Altamar is dedicated to curating an informative discussion on how global issues impact all of us. The show avoids the typical Washingtonian US bias and talks about accelerating changes from a global perspective by featuring diverse guests on a range of foreign policy topics. We aim to rise above the polarization that detracts from the public’s understanding of crucial global issues. 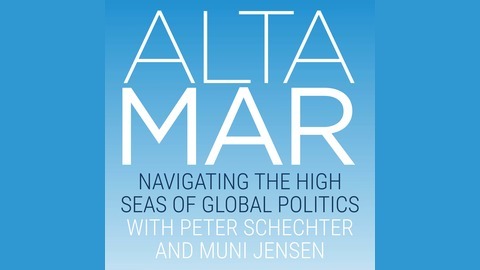 Hosted by political analyst Peter Schechter and columnist Muni Jensen. Africa has achieved one of the fastest and most sustained growth rates in the past years, with economic forecasts surpassing other developing and emerging regions. A new scramble to open bilateral relations with African nations saw more than 320 embassies open across the continent between 2010 and 2016. John McDermott, Africa Correspondent for The Economist and Zemedeneh Negatu, Global Chairman of the Fairfax Africa Fund, engage in a lively debate on how Africa can balance growth and inequality and the role of the United States and China in the continent’s development.